We caused great consternation by confessing that this was our first visit to The Pits. The local Greenfield cognesenti couldn’t understand how we’d managed 25 years in the vicinity without a trip. We were just waiting for the right evening! Rucksack Club evening meet and a good turn out despite earlier rain. 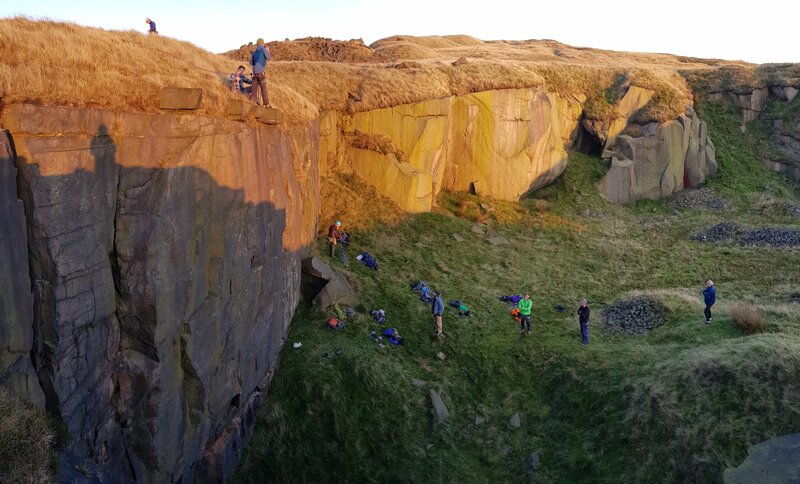 Gorgeous light, great company and good climbing – no giveaways! 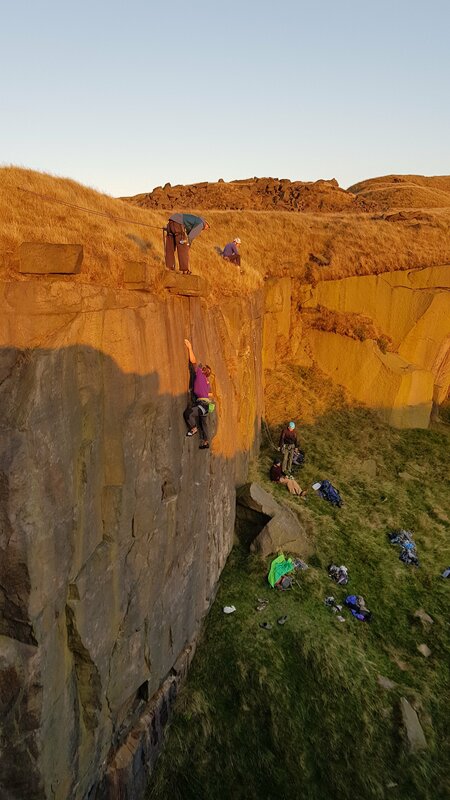 Andy’s lead of Spanner Wall was the high point of the evening (tough even on a top rope) and Jeff’s ascent of Plumb Line was a great effort, despite the dodgy shoulder. 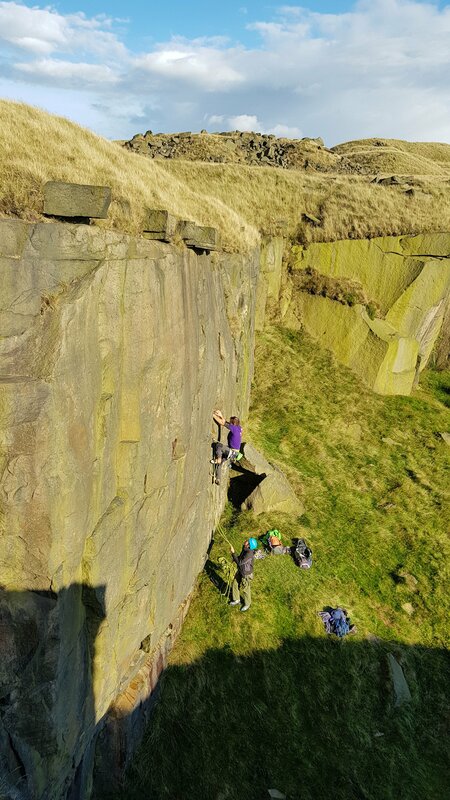 Climbing until the sun went down. Grand! Wow, swing that light. You’ve never visited before in 25 years and I suspect it’s about that long since I was last there most likely with Ian Helliwell. I’ll be over for a visit fairly soon. Most likely next spring or summer. P.S. is the spanner still there? Hi Martin. Great that you are planning to come over – give us plenty of warning! Yup, the spanner is there – it finally broke a few years ago but some enterprising soul welded on a new handle and now it’s better than ever!